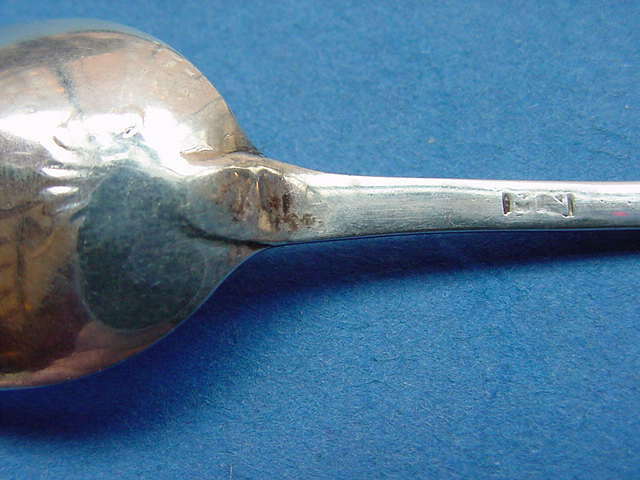 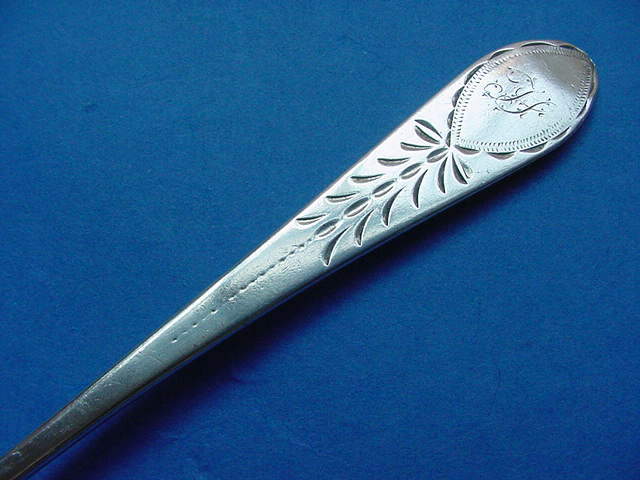 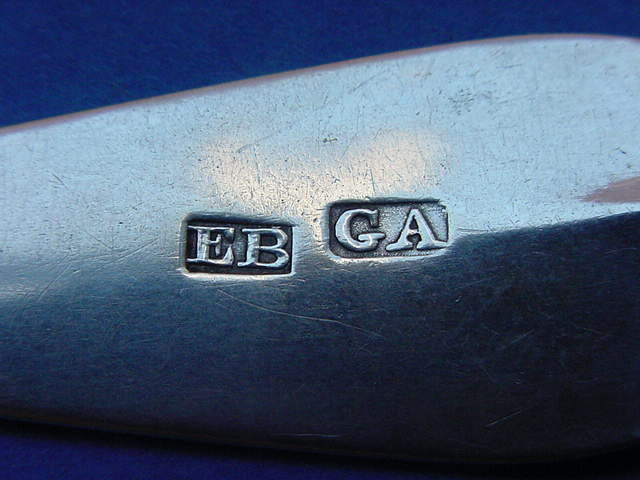 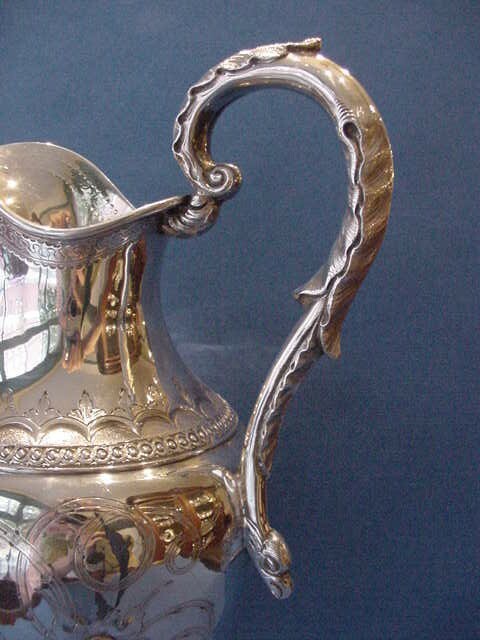 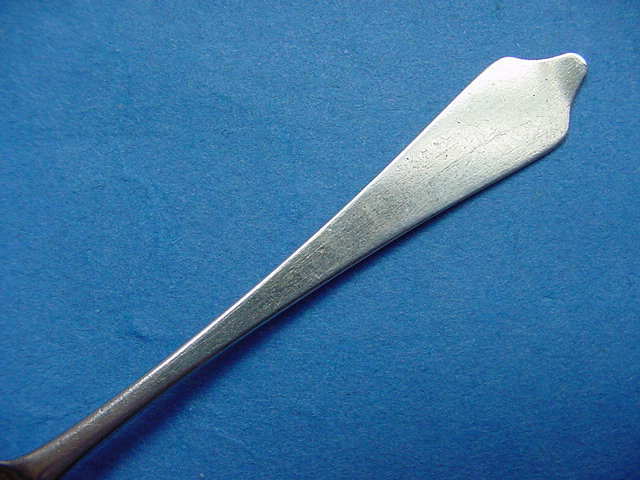 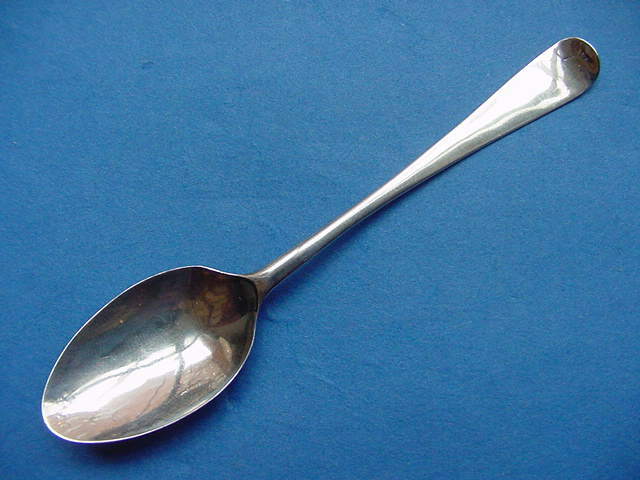 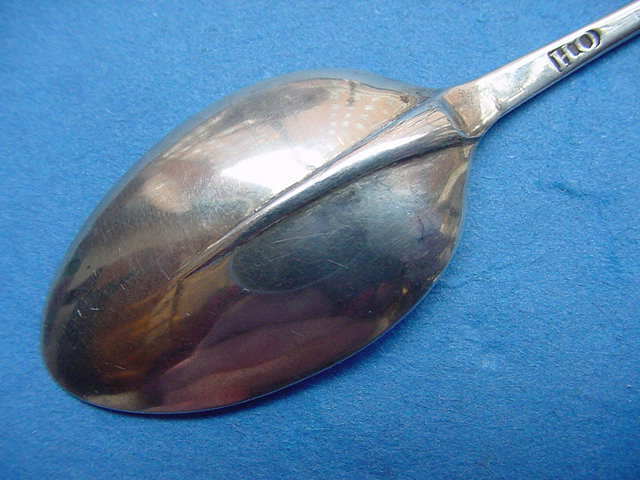 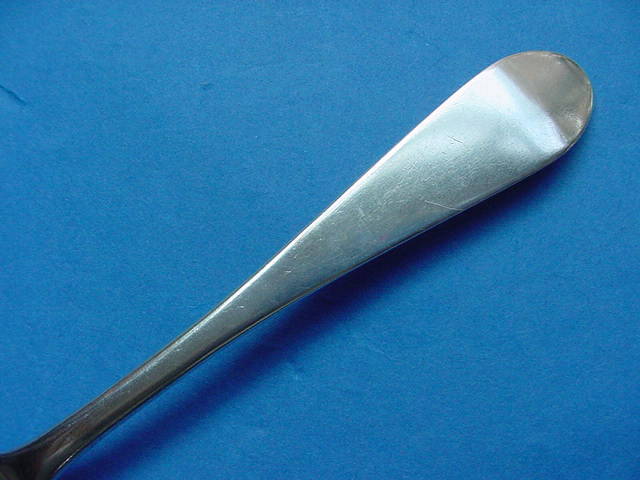 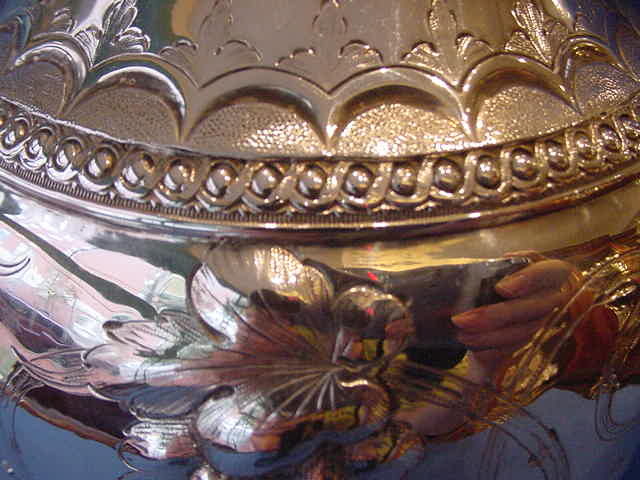 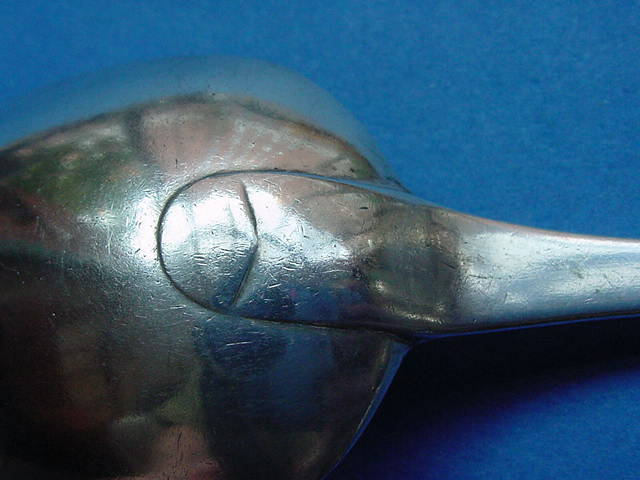 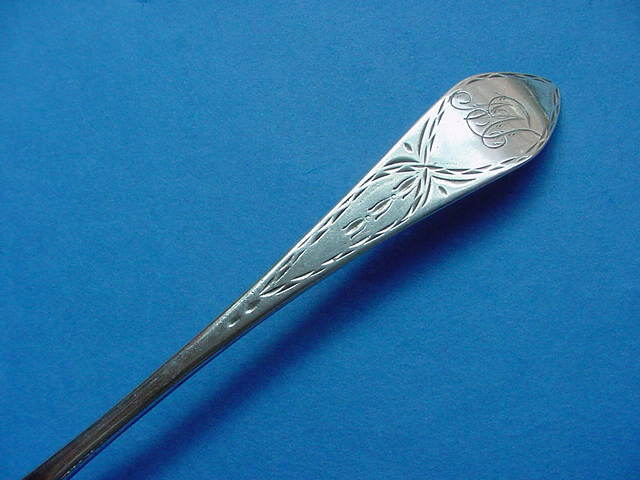 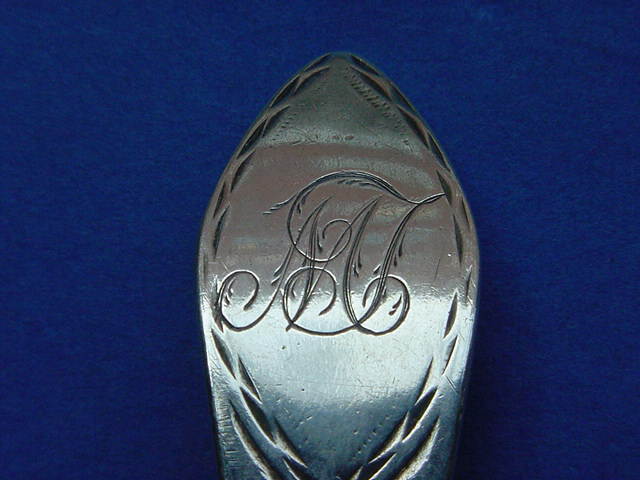 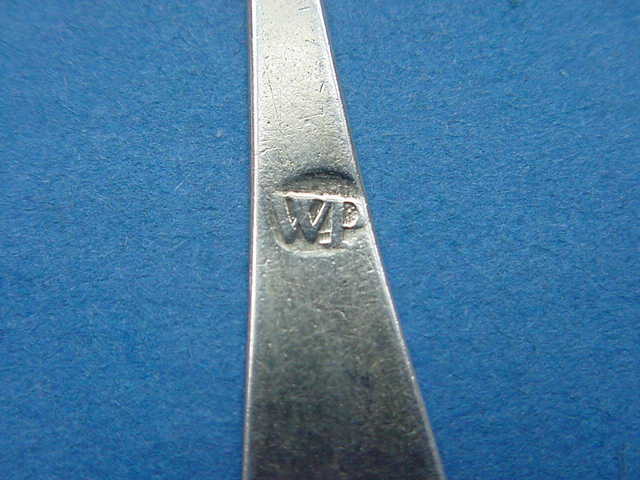 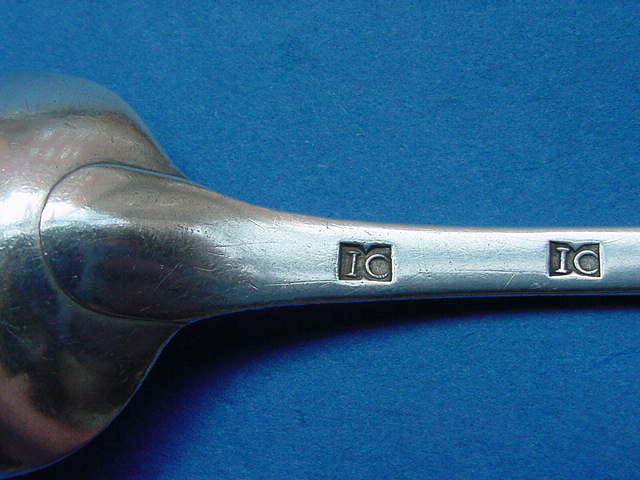 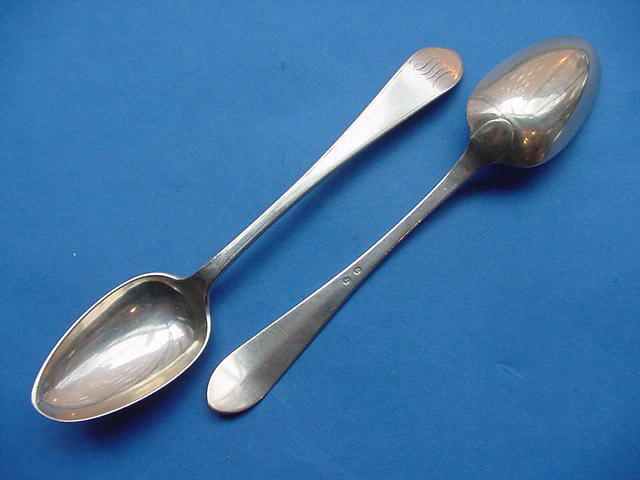 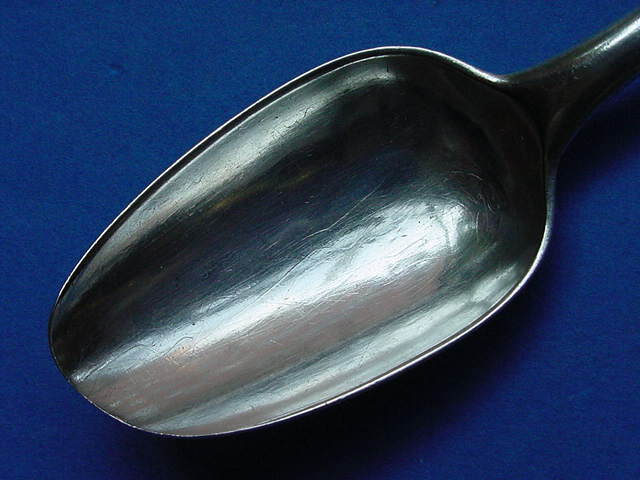 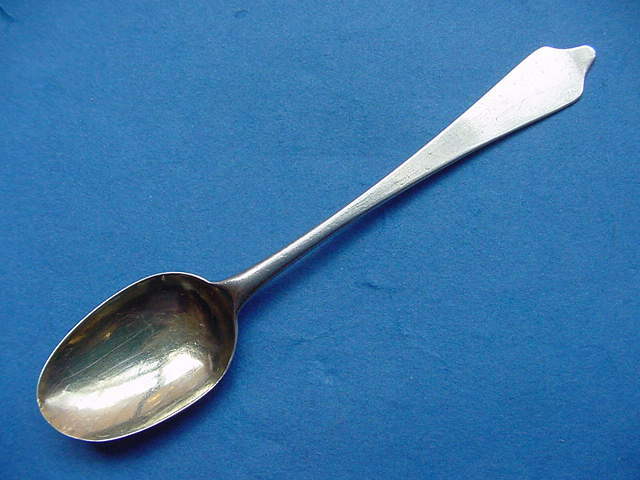 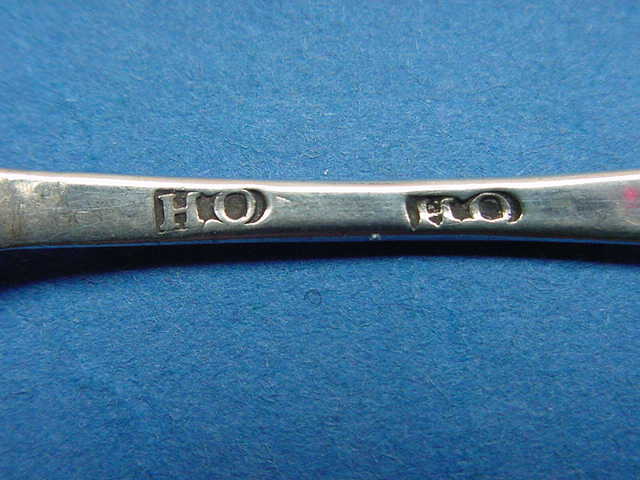 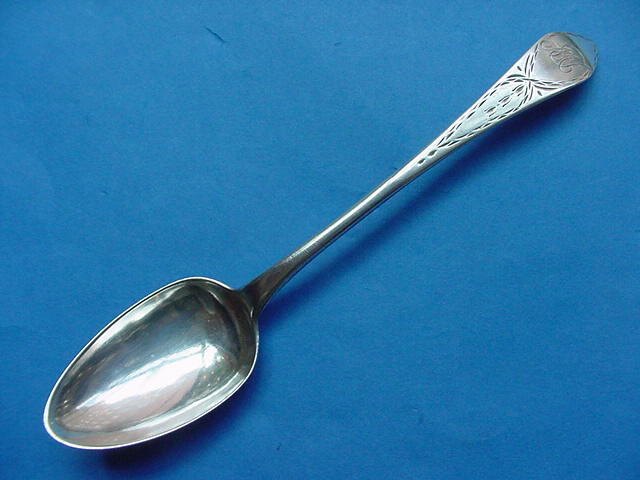 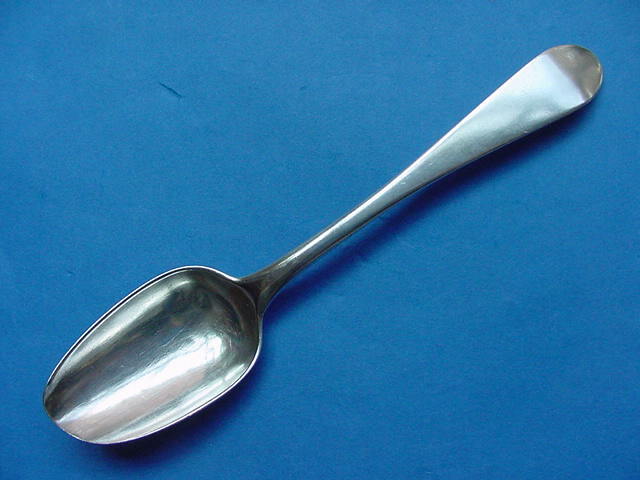 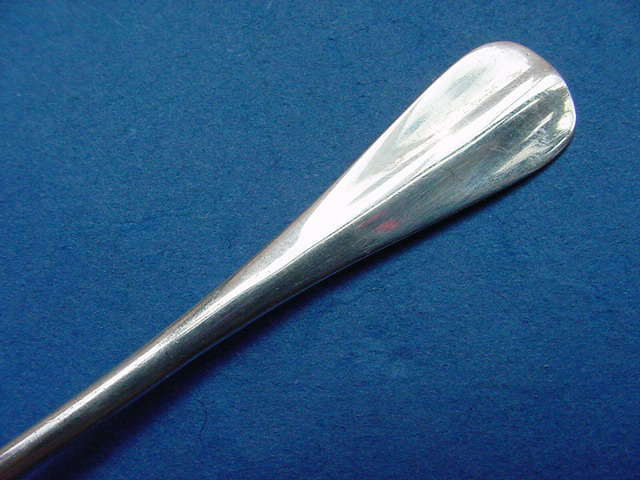 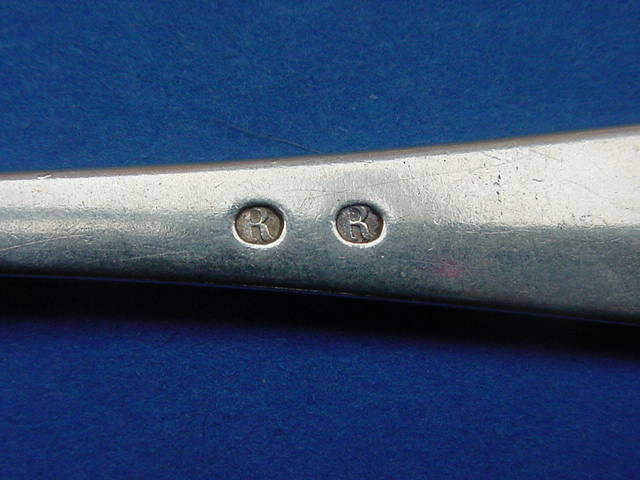 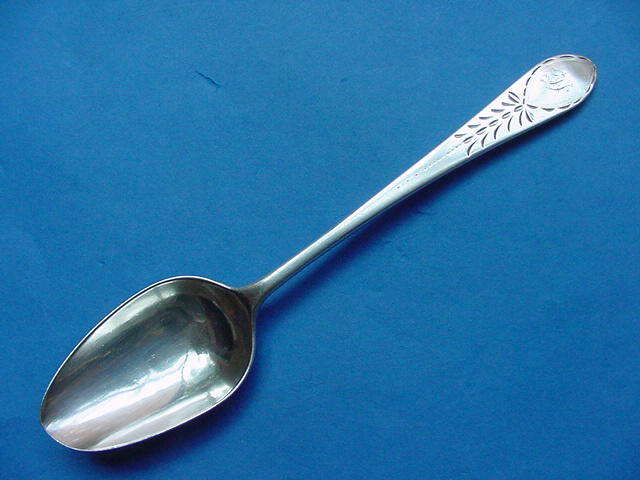 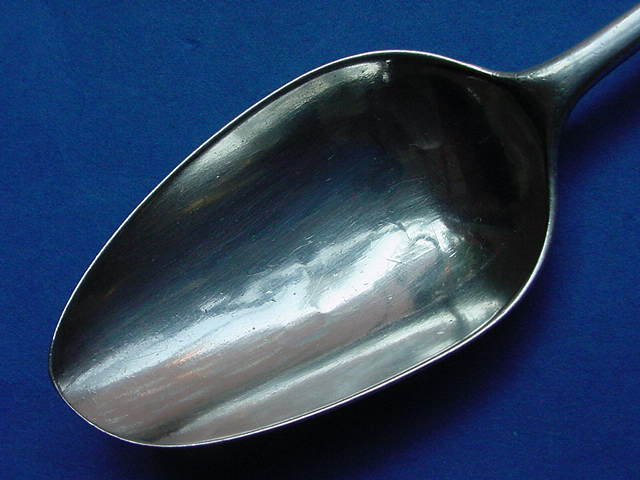 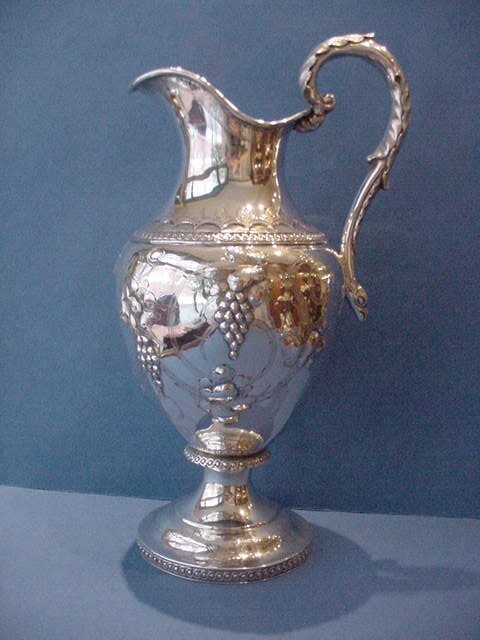 This page will feature mostly Coin Silver Place Flatware (and possibly some holloware) made prior to 1870 that we have been unable to attribute to a particular manufacturer despite possessing a mark or have succeeded in making an attribution that has not been previously published (if it has we apologize). 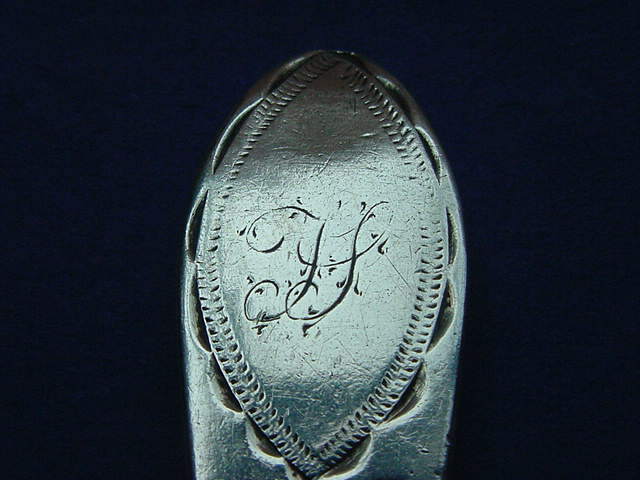 Some of the pieces will be priced but some are not (in someone's collection or not presently for sale). 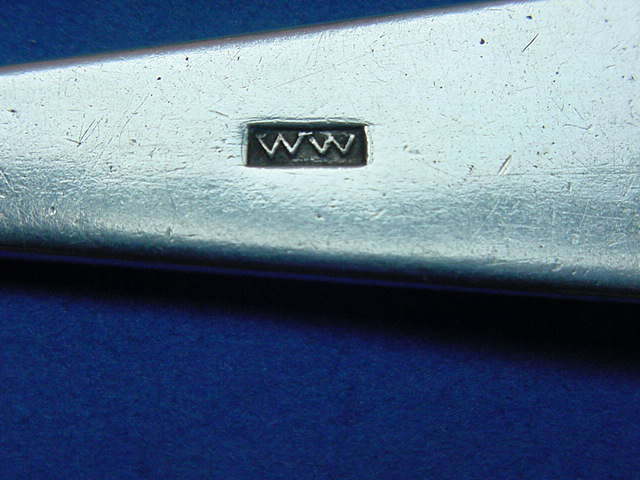 Links to the marks and possibly interesting decorative details have been provided. 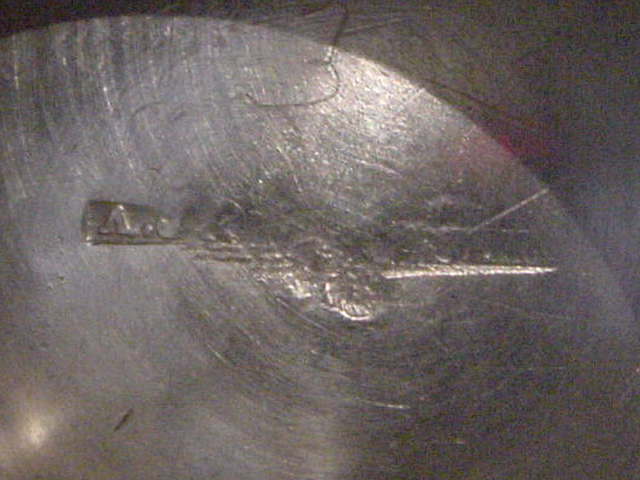 If you feel that you hold the key to identifying any of these marks feel free to e-mail us; if you disagree with any of our attributions please let us know that also..
0989-03. 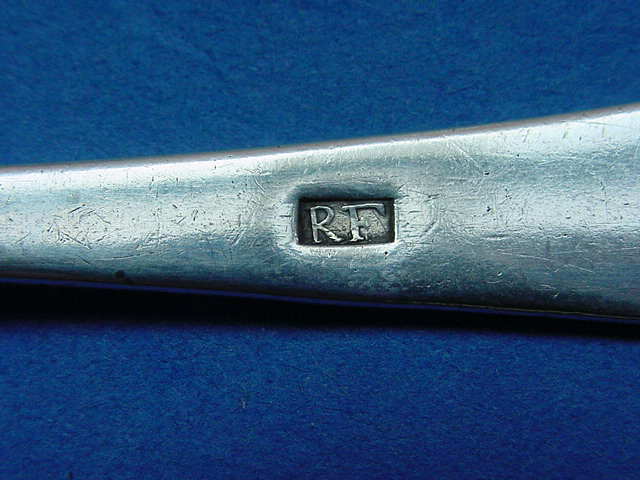 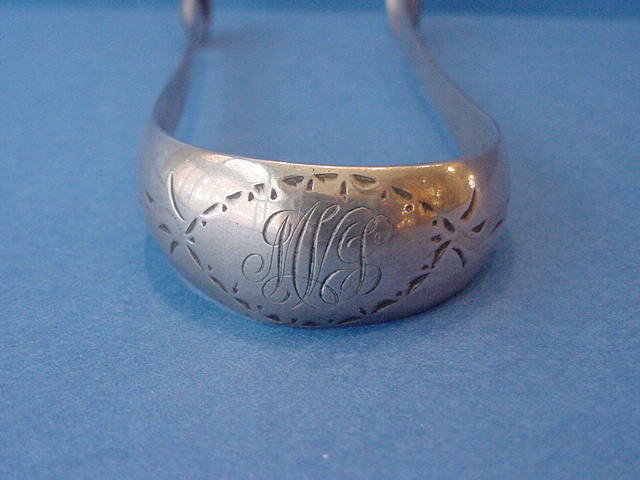 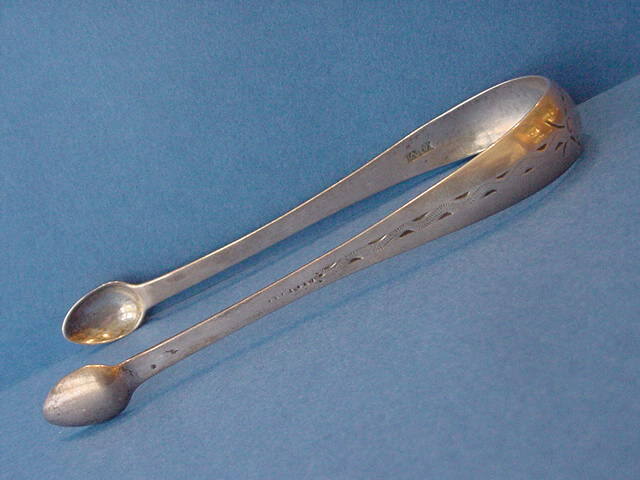 Antique American Silver Sugar Tongs with bright cut engraving; marked [WM] by William McCay of Richmond VA working 1796-1811, later working in Petersburg VA 1811-1818 and Huntsville AL 1818-1837. 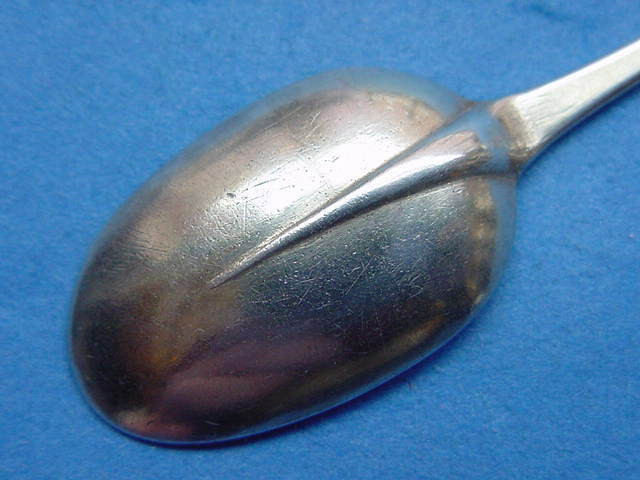 5.5" long, 0.9 troy oz. 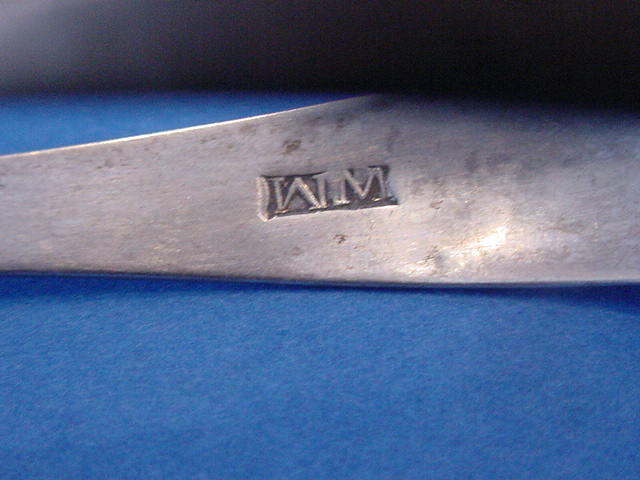 Later script mono "MVS". 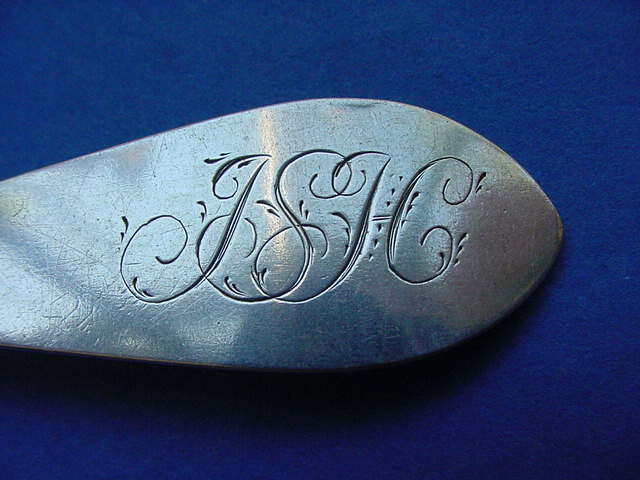 Note: identification from C. B. Hollan Virginia Silversmiths (2010), pp. 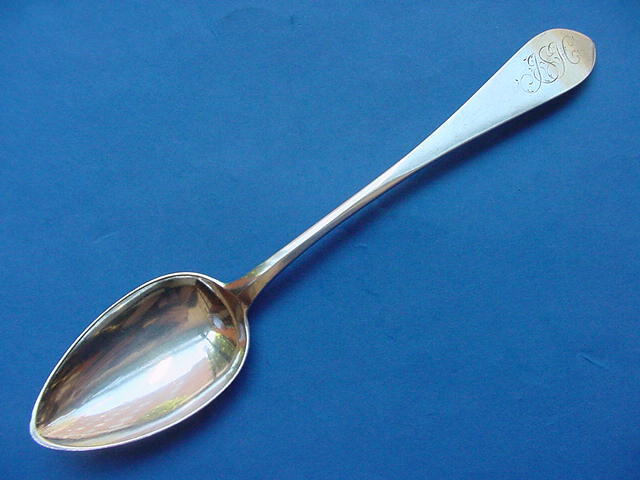 496-500. 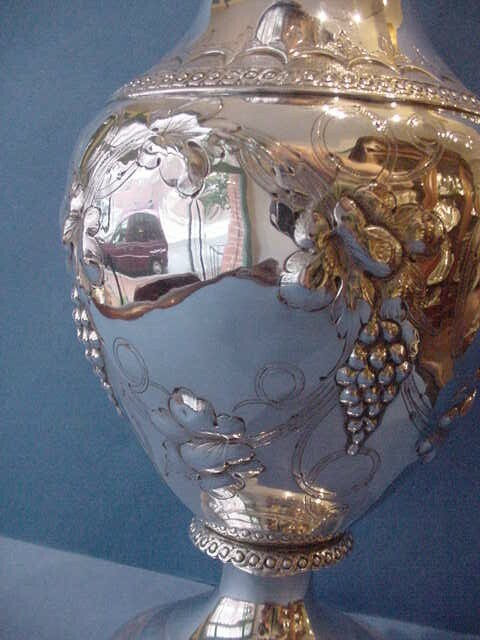 $ 750.